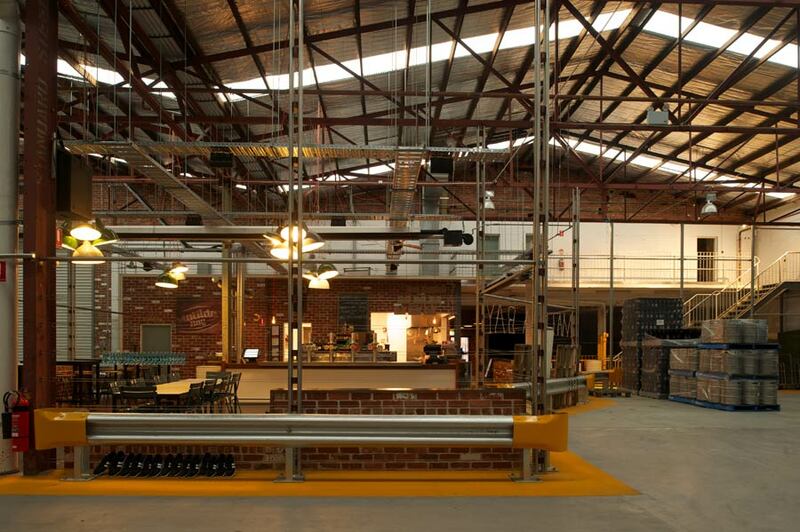 Our Matilda Bay Brewers Canteen - stainless steel, cable trays and industrial chandeliers. 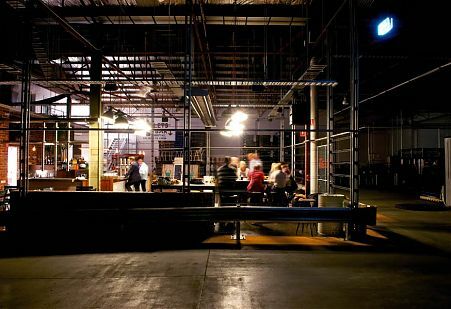 The canteen at night - a little beacon inside the brewery! 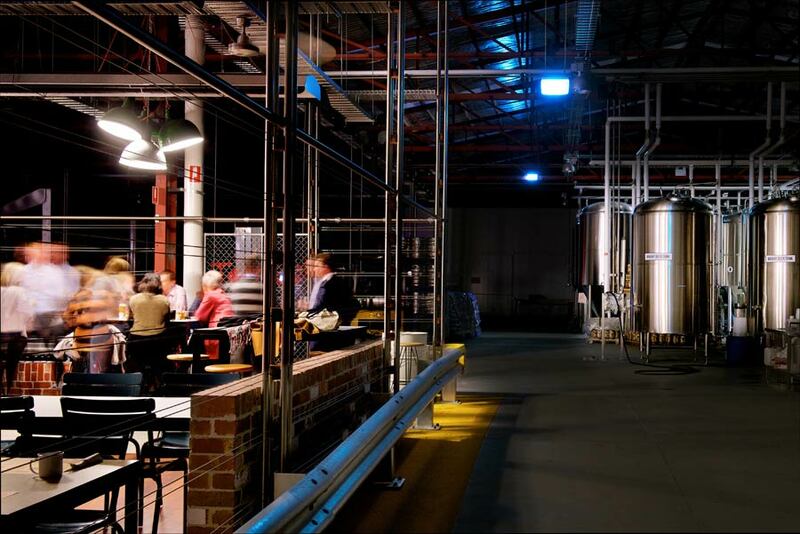 Public Bar from within the brewery workspace at Matilda Bay Brewer's Canteen by DiMase Architects. 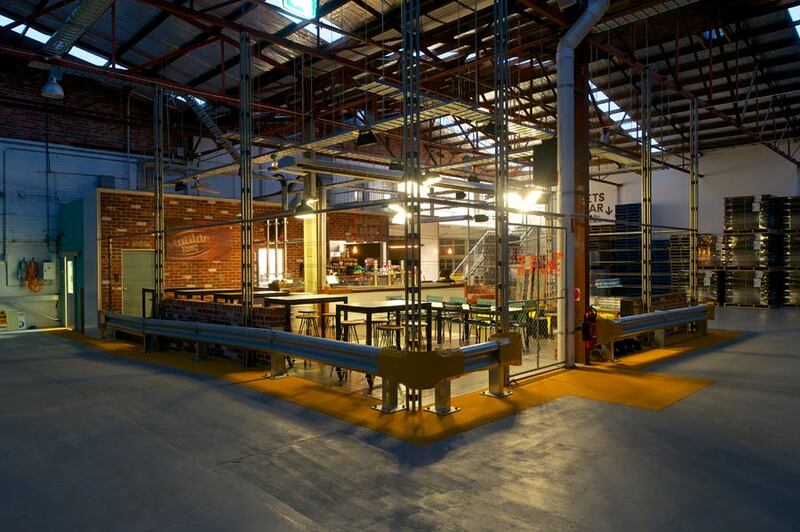 Industrial ceiling detailing for Matilda Bay Brewer's Canteen - Stage 1 by DiMase Architects. Industrial bar fit out within factory workspace for Matilda Bay Brewery. 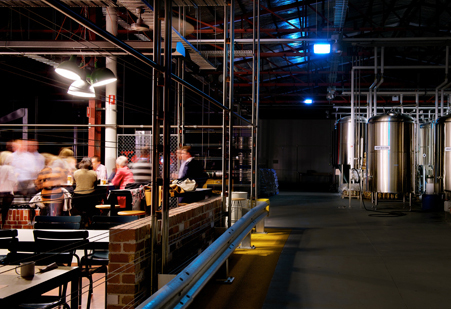 Brewery bar within working factory. Matilda Bay Brewer's Bar Stage 1 by DiMase Architects. 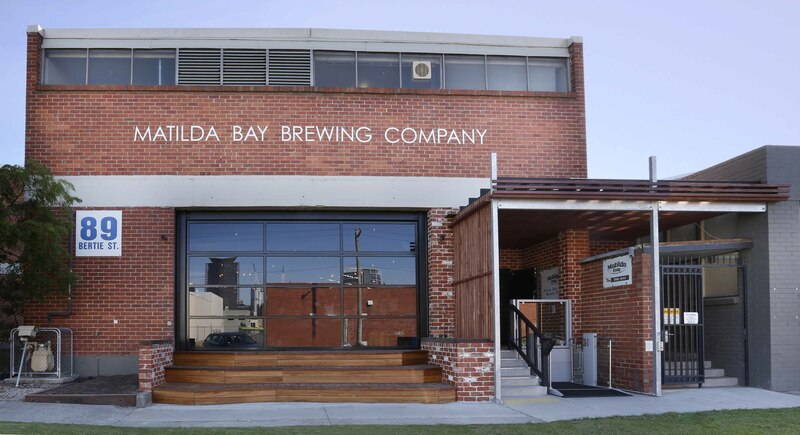 Matilda Bay Brewing Company canteen exterior in Port Melbourne. 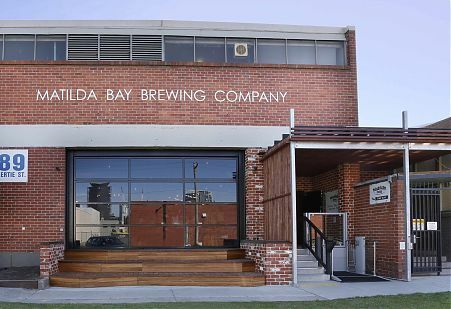 The Matilda Bay Brewing Company’s brief was unusual. 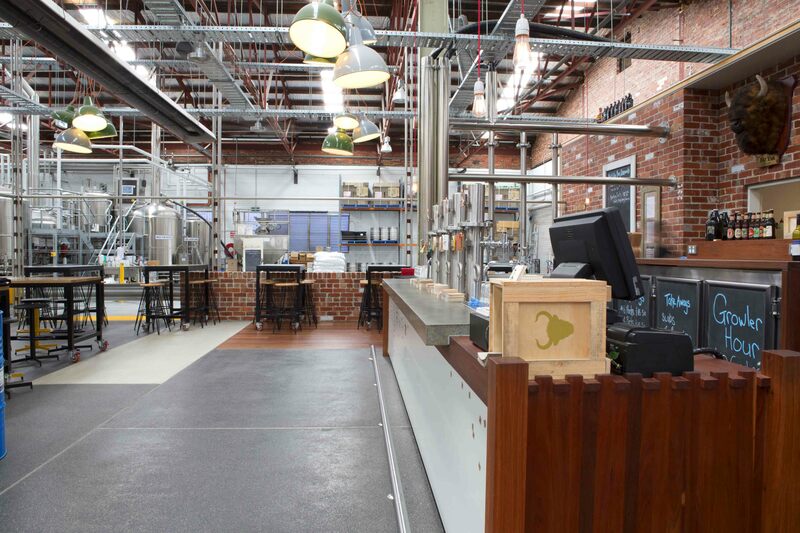 They wanted to build a tasting room – in the centre of their working brewery. The ‘space’ we started with was an empty section of factory floor with one wall and no ceiling. 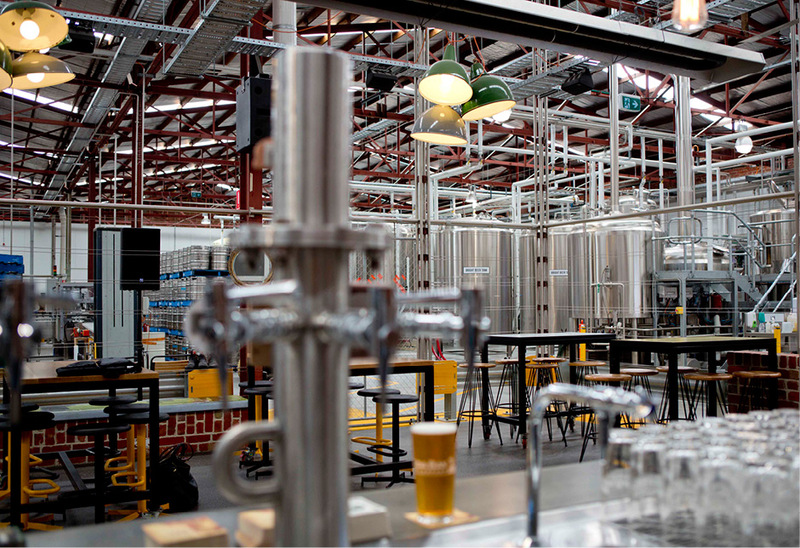 Their vision was for a bar that would feel like it was the brewers’ own canteen: a place for workers to share the rewards of their effort. In re-imagining the space we drew on the materials already in the area, as if the brewery workers were building the bar themselves: steel and timber, old bricks, cable trays, industrial heating and lighting. 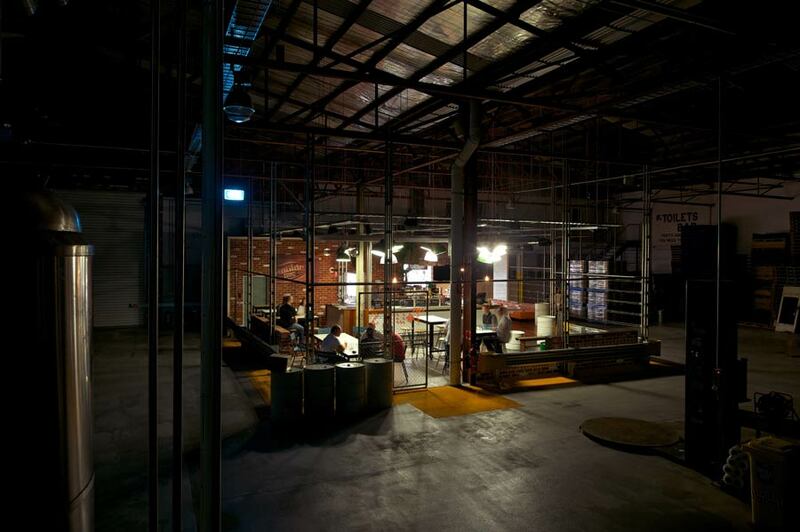 An old timber workbench was used for the bar, with excess cool room panelling for its front. Standing steel drums became tables and stainless steel piping and cable trays made up the skeleton of an open ‘wall’ separating the bar from the factory. Concentrating the materials closely together gave the bar an intimate feel while keeping it connected to the vast space of the factory around it. 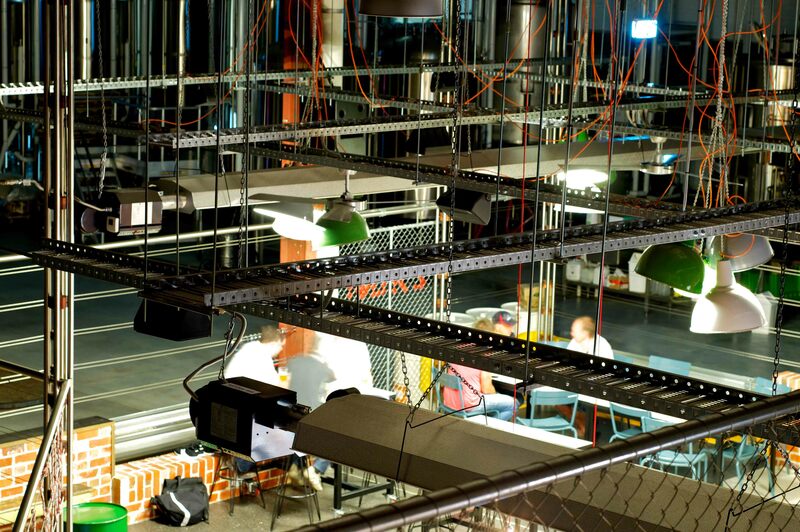 The lighting design enhanced the warmth of the space even further. 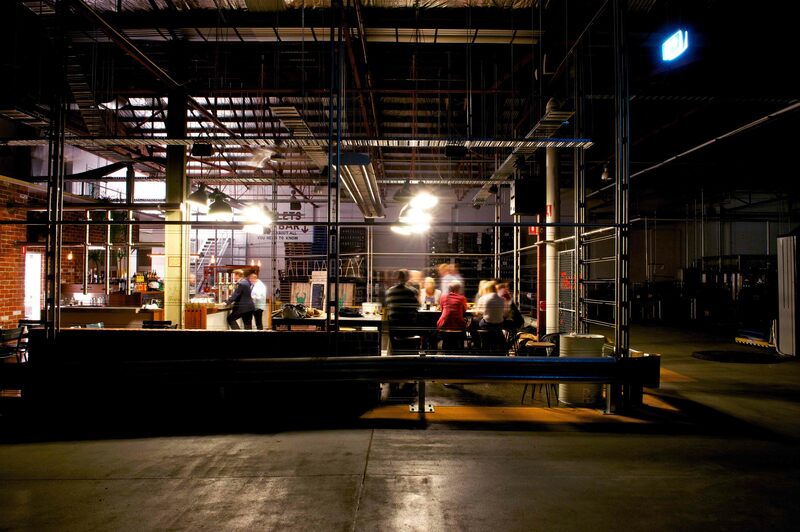 The brewer’s canteen proved so successful that it wasn’t long before we were briefed to work on a second stage. 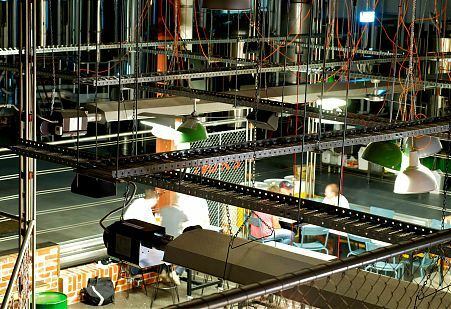 The ‘street canteen’ would provide additional seating and a dining area and would open onto a quiet street outside in suitable weather. 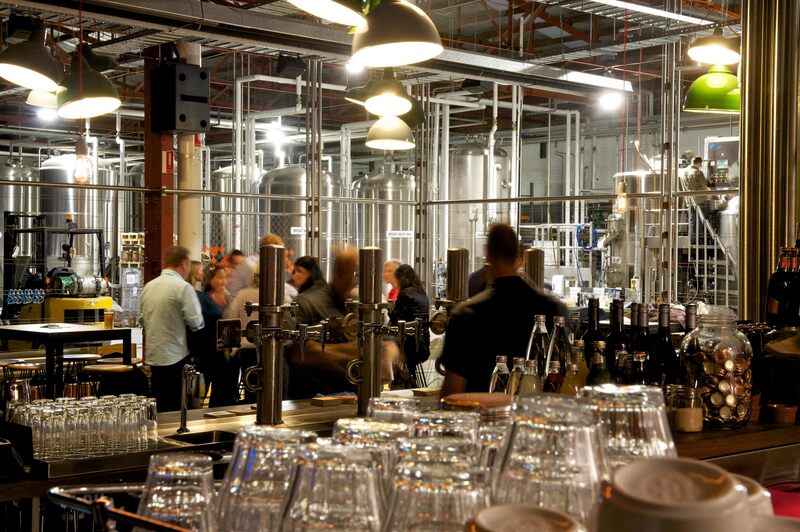 While the new space was more enclosed than the original bar, we approached its design using the same rustic, industrial finishes and reused materials. Exposed brickwork provides a rough backdrop, contrasted with industrial light fixtures and naked vintage-style light bulbs. 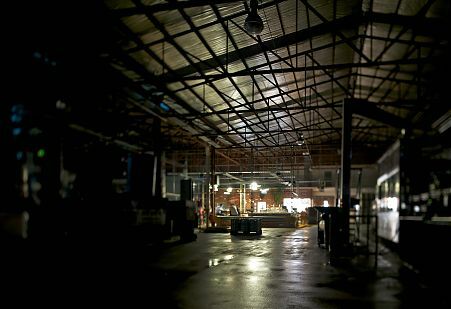 The overall effect is a ‘warmth’ similar to that of a naked flame. 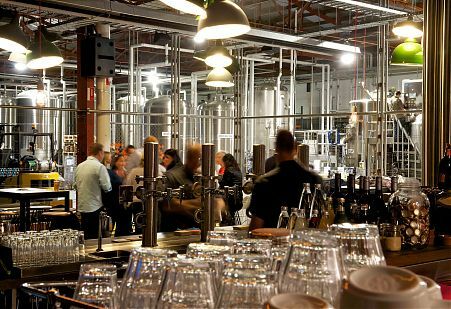 The overall effect is welcoming and casual, coming into its own on a warm night when patrons spill out into a light wind off the nearby Port Melbourne beach.